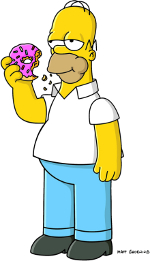 Do you prefer to spell it doughnut or donut? Eeny, meeny, miny, moe… I’m going with doughnut. 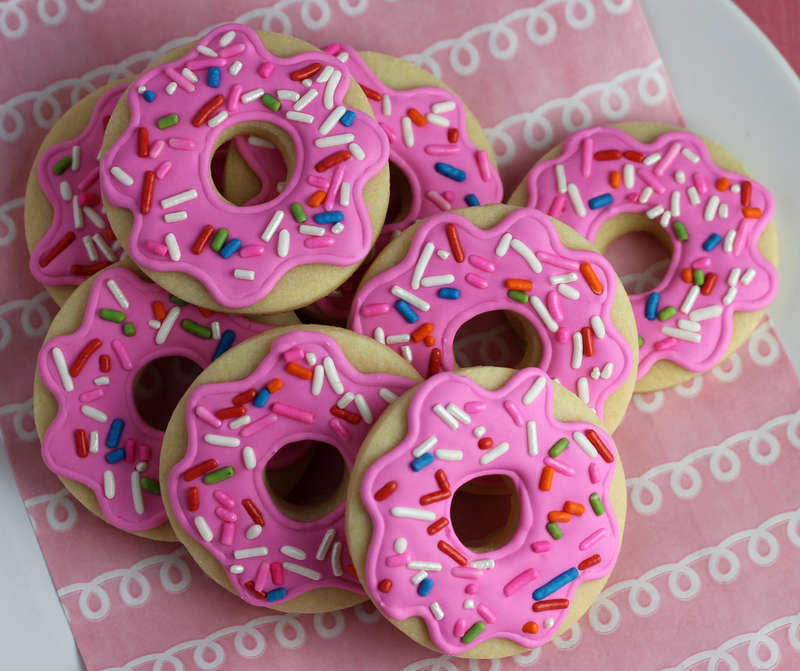 Believe it or not, The Simpsons weren’t the inspiration for these cookies. 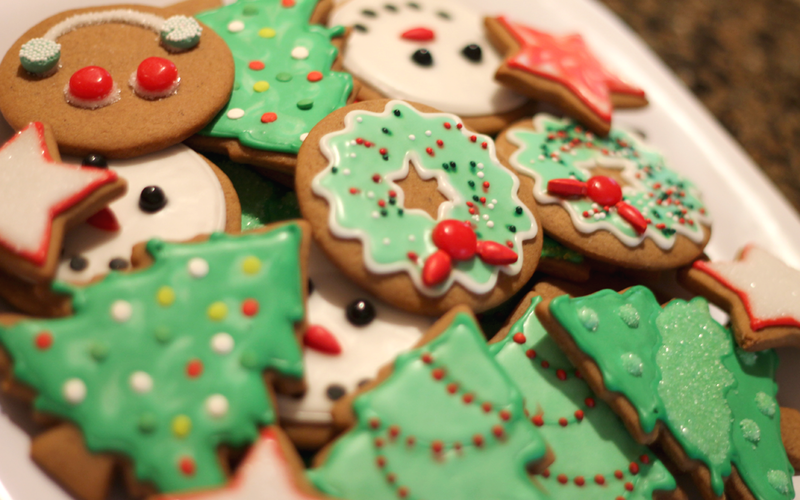 I’ve actually been wanting to make these cookies since last Christmas. It was then that I made Christmas wreath gingerbread cookies and thought they looked like doughnuts. Green doughnuts, sure, but doughnuts nonetheless. I skipped the gingerbread this time around since that wouldn’t have been very Springtime-y and went with the always tasty sugar cookie. 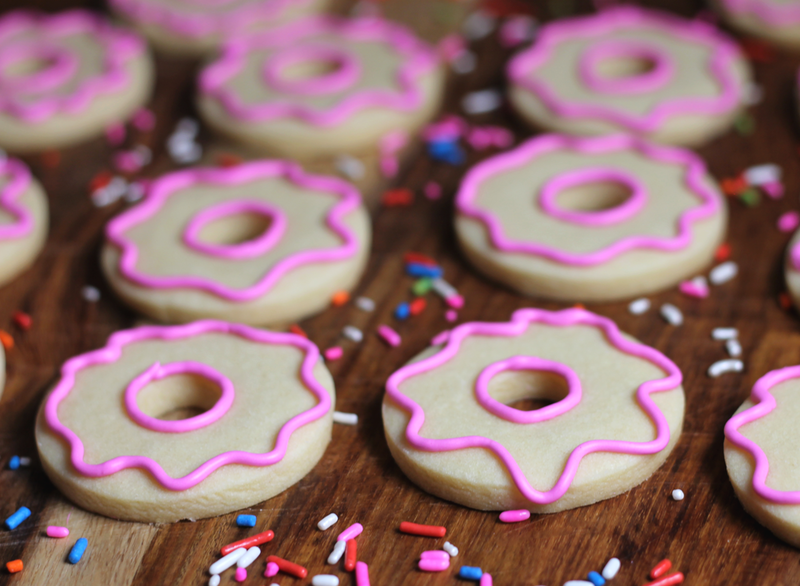 I don’t have a super snazzy doughnut cookie cutter, but I do have lots of different sized round cookie cutters. After making lots of larger round circles in the cookie dough, I used a piping tip for the doughnut hole. The greatest improv ever? Maybe not, but it does the trick! Next time I’ll use a piping tip with a larger hole up top. 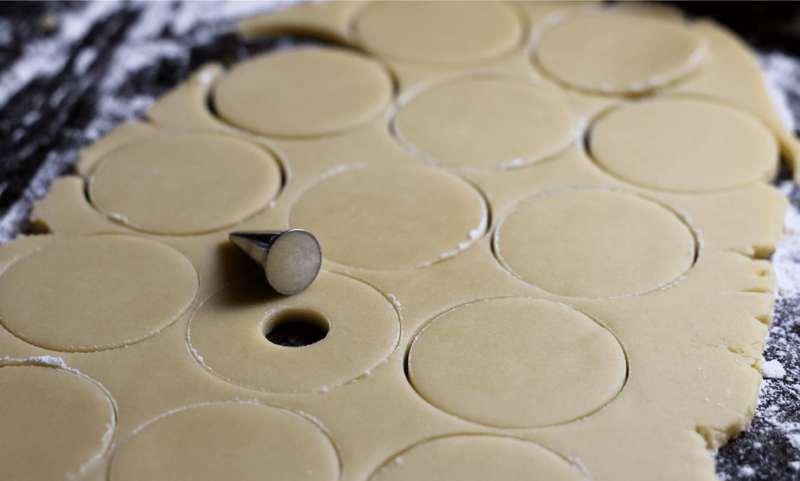 The dough got stuck inside a couple of times and it would be easier to use the toothpick to pop it back out with a larger hole. 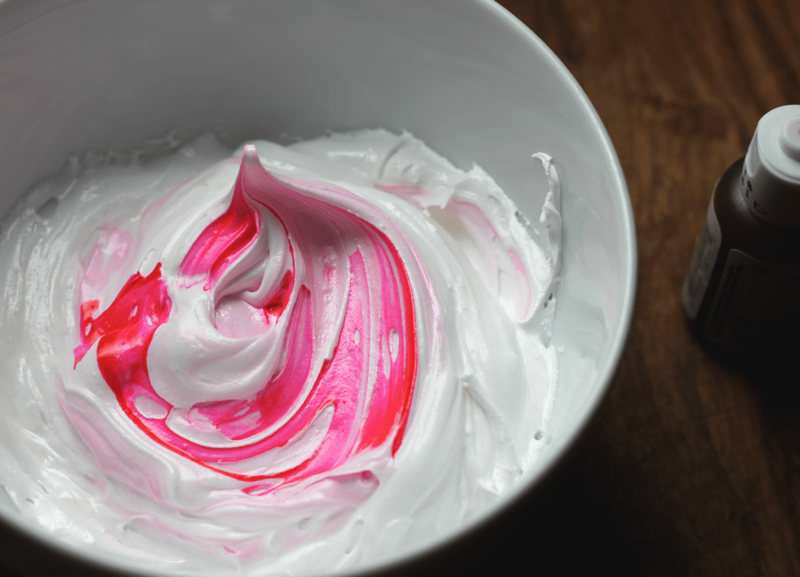 While the cookies were baking, I whipped up some royal icing for the doughnut “frosting” and tinted it pink. 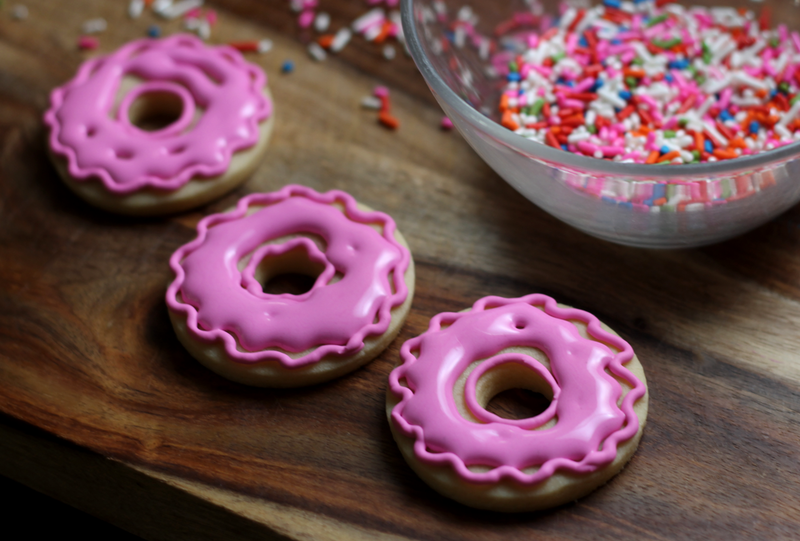 The outlines for the doughnut frosting is easy – you don’t have to be soooo exact with the lines that you pipe onto the cookie. It’s great when wavy, asymmetrical circles are the correct way to do things for once. 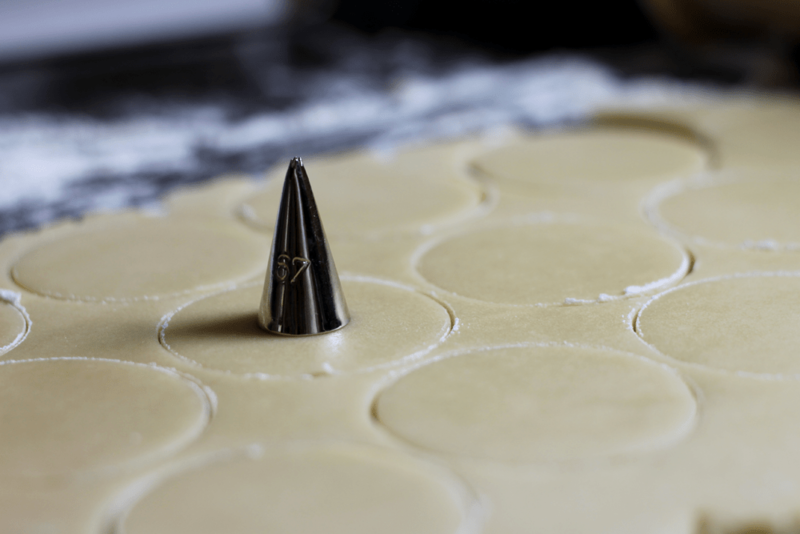 Once the outside lines have set, just fill them with slightly thinned out royal icing and hit ’em with some sprinkles. You can see in the picture below that I tried some slightly tighter waves, but the I think the larger, more flowy, over the edge waves look much better. 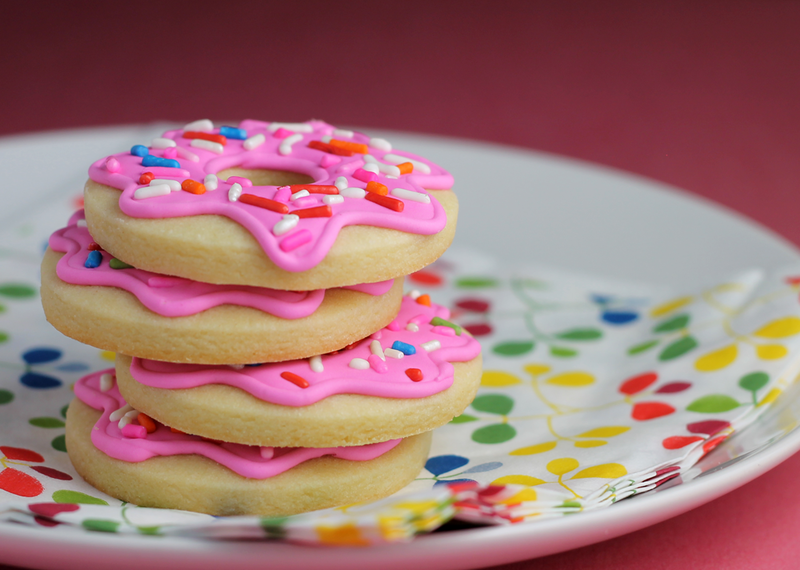 Leave these to set overnight and enjoy them with your morning cup of joe!